An Excellent Treat For Arowana, Koi and Most Larger Freshwater & Marine Fishes, Providing Superior Color Enhancing Capacity. Also Great For Turtles & Frogs. Bio-Pure FD is the world's cleanest freeze-dried fish food available today. Pharmaceutical freeze-drying techniques allow us to give you a product as close to fresh as humanly possible. Expect a texture and taste not previously available in a freeze-dried food. 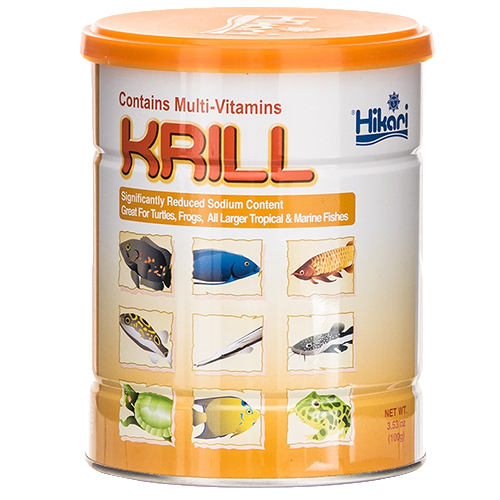 If you're looking for a superior, color enhancing, daily diet or treat for your larger fresh or saltwater fish, look no further. Bio-Pure FD Krill, an excellent choice from the quality leader, Hikari!